Dry roast Methi Seeds till they begin to smell. Transfer this to plate. To the same pan add oil and allow it to warm up. Powder methi seeds in a blender to a fine powder and keep aside. Wash mango and dry it thoroughly. Wipe off with an absorbent cloth. Chop them to large cubes. In a large plate add mango cubes, turmeric powder and salt and keep it for 1/2 an hour. After 1/2 hour add red chilli powder, muster seeds, methi powder, hing. Add oil, ensure it is cool before adding to the mixture. Cover it and set aside in a dry place for 1 day. Store it in a glass jar. 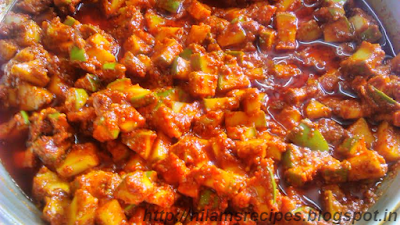 Raw mango Pickle ready to use. 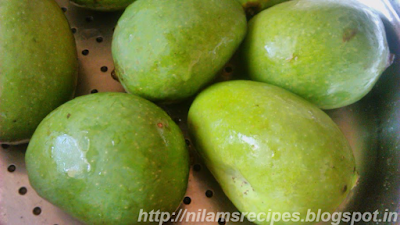 While selecting Mangoes for pickle it should not be soft. 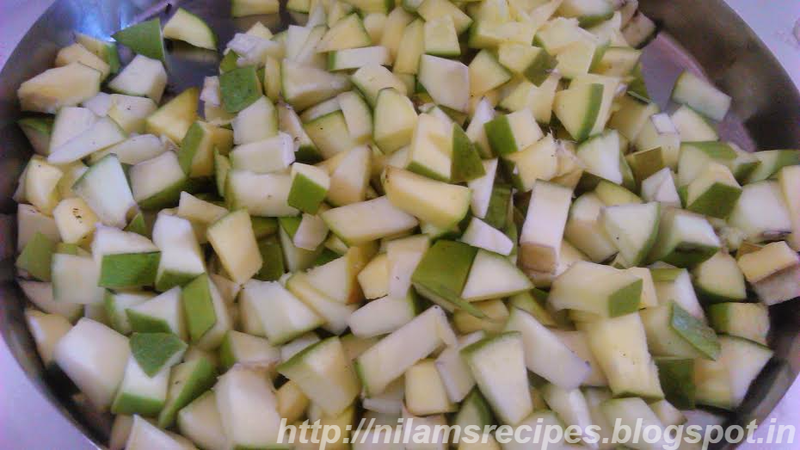 Use pickle mangoes that are sour and cut the pieces with the inner shell intact. Be careful while handling pickle jar should be dry. Use a dry spoon every time you remove pickle from the jar. 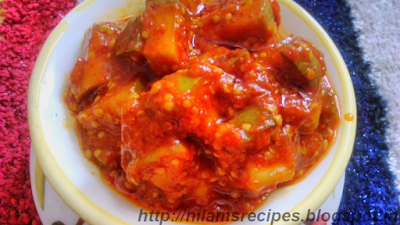 Masala nako ahhe Anni khar jast havay .kindly explain recipe. 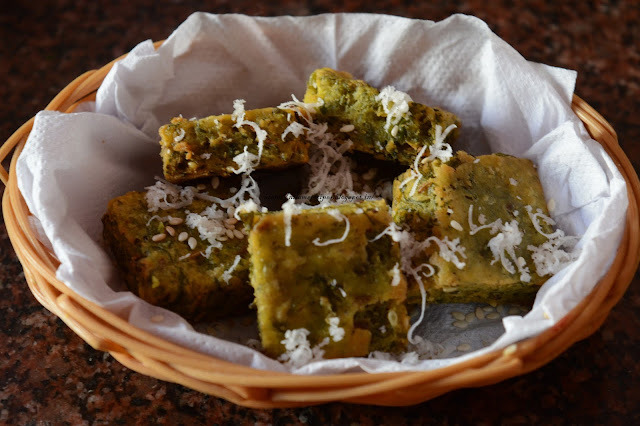 Nice recipes.. 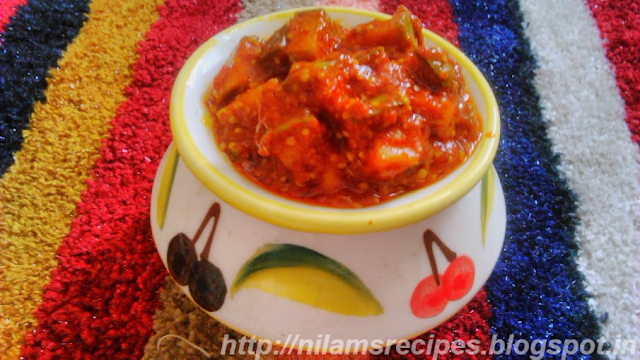 I tried it..Good taste.. What is to be done if pickle is very salty?